Cesped welcomes Nuova Transports SpA as its partner. 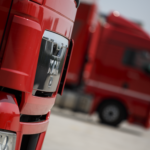 Nuova Transports is a freight forwarder based in Concorezzo (Monza-Brianza) with over 25 years of history and experience in its field and a strong presence in the Lombardy, Piedmont and Emilia regions. To give a complete picture of the Company, here are a few significant numbers about Nuova Transports and its volume: 110 employees, 4 hubs in Concorezzo (MB), Turin, Parma and Civitanova Marche and a turnover of 37 million Euros in 2017. 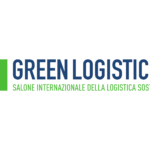 This new partnership will allow Cesped to reach a total of 500 people on its team, 15 branches covering Northern and Central Italy as a whole, 11.400 customers and a turnover of over 200 million Euros expected by the end of 2018, with more than 1 million shipments. Nuova Transports joining the Cesped team is synonym of growth and continuous expansion for Cesped, strengthening its increasingly significant presence throughout the Italian territory.